Medicines prescribed by a healthcare professional are meant to help you. However, if not consumed or taken care of properly, they may be harmful. The Know Your Medicine Corner aims to provide you with useful educational information to help you understand the use of medicines better. We have compiled here common topics on medicine use that are relevant to patients and consumers, helping you to use medicines safely and optimally. If you are travelling by plane, keep your medicines in your hand-carry luggage. Keep medicines in the original bottles. Ask your doctor for a copy of all your prescriptions. You may need this in case you misplace, run out, or damage your medicines. If you have diabetes, ask your doctor for a letter explaining your medical condition with a list of your medications. You are allowed to carry your medicines, blood glucose meter, and lancet device on a plane. 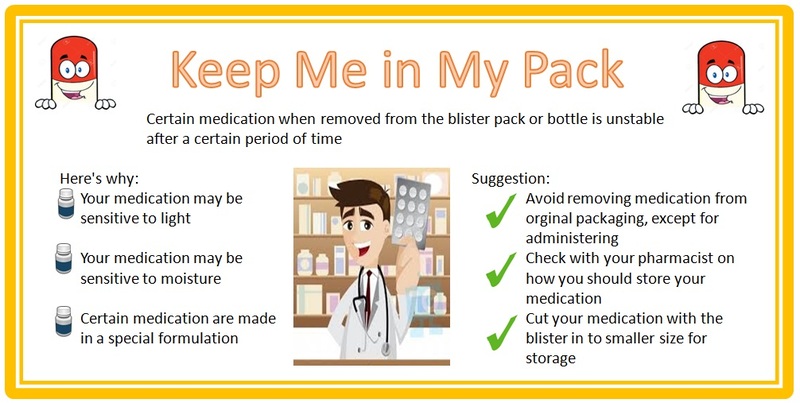 Carry your refrigerated medicines with you on the plane in a cooler bag that is sufficient to keep the medication cold for a few hours. Inform a flight attendant about your medication as soon as you board the long haul flight. The flight attendant will be able to put the medication in the airplane’s refrigerator. Make sure your container is labeled with your name and contact information. Centers for Disease Control and Prevention. Put Your Medicines Up and Away and Out of Sight. 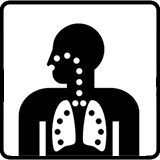 December 12, 2011. www.cdc.gov/Features/MedicationStorage. Accessed on 10 August, 2016. The Center for Improving Medication Management and the National Council on Patient Information and Education. The quick scoop: medicines and your family: safely storing and disposing of medicines. Updated 2016. www.learnaboutrxsafety.org/quick-scoop.aspx#safely. Accessed 10 August, 2016. Can I Crush the Tablet or Open the Capsule? Crushing this type of tablet may release the drug all at once. This increases the chance of side effects, the risk of overdosing with the medicines, and potentially a period of time where the drug is not present in your body to exert an effect. These tablets contain gastro-resistant granules that are designed to protect the active ingredient from our stomach acid, and are only released when it reaches the intestines.When this gastro-resistant layer is destroyed by crushing, you may increase your chance of a stomach ulcer, have lesser amount of the drug to exert an effect, or stopping the drug from getting to where it needs to work. Some active ingredients are sensitive to light or moisture (e.g. frusemide is light sensitive). Crushing a tablet or opening a capsule that contains a light- or moisture sensitive active ingredient exposes it to degradation. This group of medicines is toxic to cells as they stop or prevent cells from replicating. 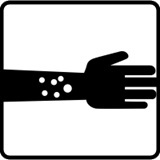 They are used to treat cancers and other conditions such as rheumatoid arthritis and multiple sclerosis.It is important that personnel involved in drug preparation or administration are aware of the nature of the drug so that they can avoid unnecessary handling of the drug or take precautionary steps by wearing gloves to prevent skin contact or face mask for inhalation. 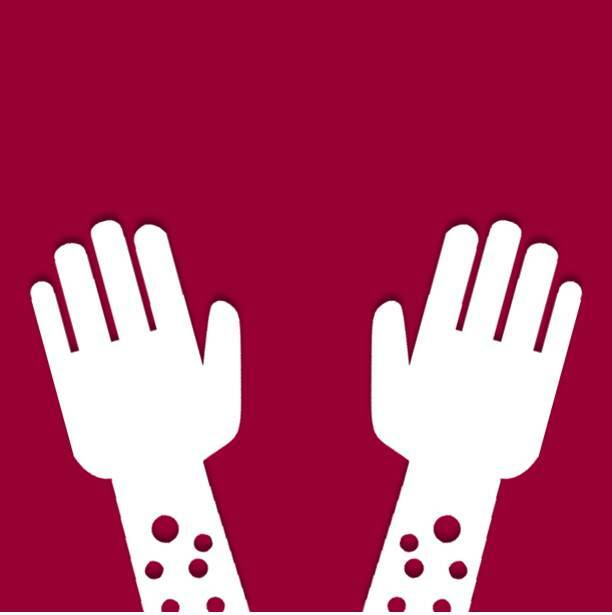 Eczema is a skin condition caused by inflammation of the skin. 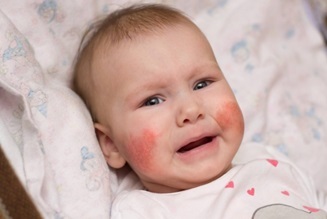 Eczema causes skin to become itchy, red, dry; and sometimes even cracked and leathery. The higher the lipid content, the thicker the emollient. Hence, the better and longer it works. Topical steroids work by reducing inflammation of the skin and clearing flare-ups. Use moisturizers at least twice a day, after a shower and before bedtime. They are best applied within 3 minutes after a shower or bath to maximise their moisture-retaining effect. Apply moisturizers generously to entire body. This prevents the eczema from developing elsewhere. How to apply steroid creams? Gently rub the cream or ointment into the skin until it disappears. Then wash your hands (unless your hands are the treated area). Overuse of steroids can lead to thinning and discolouration of skin. How Stable Are Medicines Removed From Original Packs? If you are required to take half a tablet of your medicine, avoid cutting your pills in advance and storing them in a medication container for later use. This may affect the quality and efficacy of the medication. True friends do not advocate sharing of prescription medicines with each other. WHY? Any medicines will have side effects, but these are known risks and are managed by a health care professional. Thus, the benefits outweigh the risks when the medicine is taken as directed. It is also important to always seek the advice of a paediatrician before giving medicines to a child. Doses prescribed for adults are not the same for children. Furthermore, certain medications should NOT be given to children because they may harm the child’s development. Remember that medicines prescribed by your doctor are a choice tailor made for you and your needs. Keep yourself and your family safe by not sharing your medicines. Sharing prescription medicines can be bad for health. By Christopher Campbell,Pharm.D, PGY1 Resident, George Regents Medical Center, Augusta; and Christina E. DeRemer Pharm.D., BCPS, Primary Care Clinical Pharmacist & Medicine Team Supervisor, Georgia Regents Health System. Proper storage of medicines is crucial to ensure their effectiveness and potency. Avoid keeping your medicines in your car. Proper storage areas for example, include your bedroom inside a dresser drawer or in a kitchen cabinet (but keep out of reach of children). Make sure the cabinet in the kitchen is not above a stove or a sink, where heat and steam could create moisture problems that will damage the medicines. Do Medicines Need to be Kept in the Refrigerator? 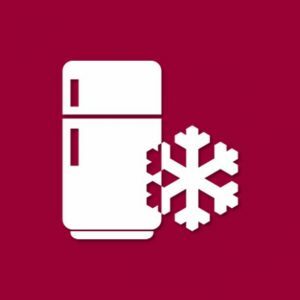 Not all medicines need to be kept in a refrigerator as they may be adversely affected by the fluctuating temperatures of a domestic refrigerator. Check with your pharmacist for the precise temperature range for your medicines. Only medicines that carry the instruction “REFRIGERATE” should be stored in the refrigerator, preferably in the centre compartment, and to avoid the door or the cooling vent at the back of the refrigerator. 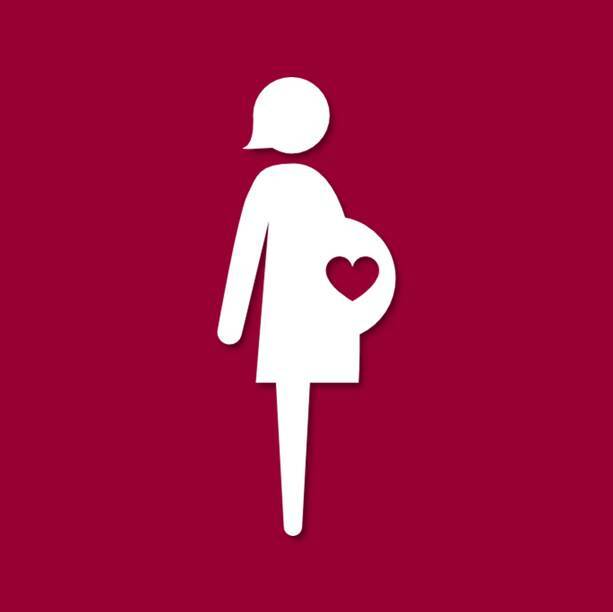 Pregnancy is a special physiological condition where the use of medication presents a special concern as the medication may reach the foetus and cause harm. However, total avoidance of medication in pregnancy may not be possible and could be dangerous. Any medicine taken during pregnancy should be used at the lowest effective dose for the shortest possible time. Some medication can pass into the breast milk. The amount transferred into the breast milk depends on many factors, including the chemical properties of the medication. In general, there are very few medications that are absolutely contraindicated during breastfeeding. These medications that present in breast milk may pose risks to the baby while some can affect the supply and composition of the breast milk. What is “Pump and Dump”? The “pump and dump” method involves expressing and disposing of the breast milk. It is recommended that this technique be used until at least 3 hours after the last intake of the medicine that is not suitable for use when breastfeeding. Your pharmacist will be able to provide advice on the suitability of your medication and timing to take the medication while breastfeeding, if your medication is safe for your baby or if it may affect your milk supply. BabyCenter. (2017). 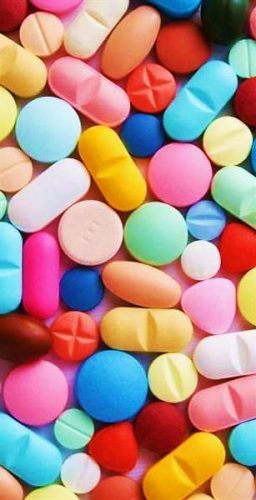 Drug safety while breastfeeding | BabyCenter. [online] Available at: https://www.babycenter.com/0_drug-safety-while-breastfeeding_8790.bc#articlesection1 [Accessed 3 Sep. 2017]. Helms, S. and Darbishire, P. (2009). Understanding Breastfeeding: Beyond Medication. US Pharm, 34(9), pp.25-33. Verywell. (2017). When to Use the Pump and Dump Method for Lactation. [online] Available at: https://www.verywell.com/pump-and-dump-22415 [Accessed 3 Sep. 2017]. Probiotics are good bacteria that inhibit the growth of bad bacteria, promote good digestion, reduce toxins, and boost your immune system. Keeping a ratio of more good bacteria is crucial in staying healthy. Yogurt, sauerkraut, cheese, kimchi, tempeh, miso and natto are some foods that contain probiotics. Does more CFU mean better? The dose needed for probiotics varies greatly depending on the strain and product although many are in the range of 1–10 billion CFU per dose. Side effects are typically mild, temporary and often a sign that the probiotics are working and are often part of the natural cleansing process, for example, minor constipation, mild diarrhoea, mild rash, cramps, and gas. How long do I need to take probiotics? It is recommended to take probiotics daily between 2 weeks to 2 months to fully re-colonize the bowel’s healthy bacteria. Are probiotic supplements safe for pregnant or nursing mothers? Probiotic supplementation during pregnancy improves newborn’s immunity and decreases allergies. For nursing infants, immunity and allergy improvements have also been observed. Always check with your doctor or pharmacist to confirm that any supplement, including probiotics, are safe for use during pregnancy and breastfeeding. 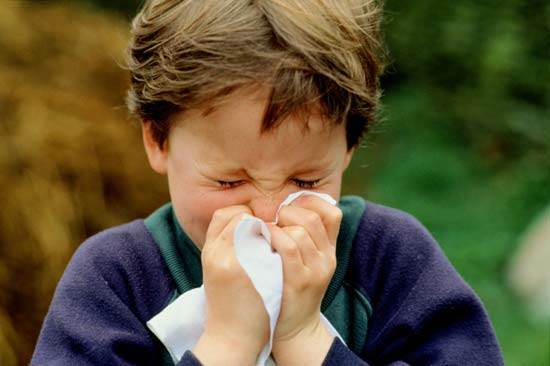 The nasal congestion caused by allergic rhinitis may affect the child’s quality of sleep. This would affect their concentration the following day. As the child’s breathing quality is affected, their ability to exercise and play sports is also compromised. What are the management strategies for allergic rhinitis? Besides seeking medical attention, the first approach is to identify the triggers and minimize exposure. Nasal irrigation is used to rinse off the allergens and is effective in approximately 50% of patients with allergic rhinitis. Lactose intolerance is when the body cannot digest lactose which results in gastrointestinal symptoms. It occurs when the small intestines do not produce enough lactase (enzyme) to digest lactose (milk sugar). Lactose is then fermented by bacteria and produces unpleasant symptoms. Lactose intolerance in children is often caused by an infection in the digestive system, and will only last a few weeks. What types of food contain lactose? 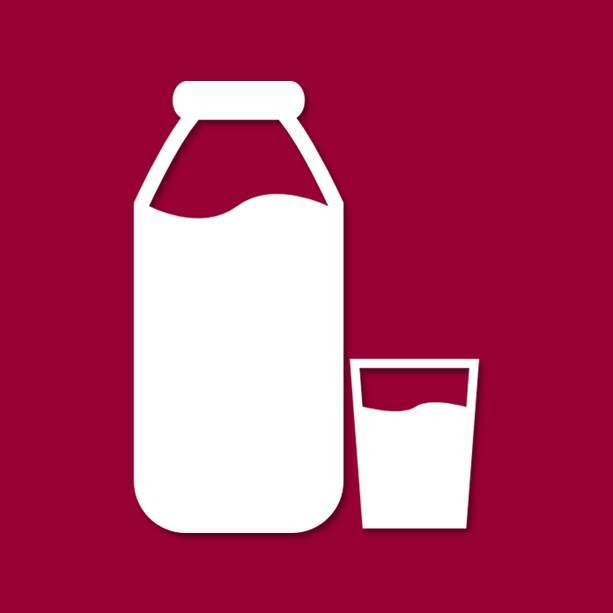 Lactose is the natural sugar found in the milk of mammals such as cows, goats and sheep. Dairy products such as cheese, ice cream, butter and yoghurt may contain lactose. How is lactose intolerance managed? There is no cure for lactose intolerance. However, symptoms can be reduced by making changes to diet. Serve small servings of milk and dairy products in regular meals. For babies with lactose intolerance, lactose-free formula milk is available in pharmacies and supermarkets. Probiotics may help in the management of lactose intolerance. Is lactose intolerance the same as milk allergy? Most cough and cold illnesses are caused by viruses. Antibiotics can only treat bacterial illnesses–not viral illnesses. If symptoms last longer than normal, do not improve, get worse or if new symptoms develop, seek medical advice. How do I know if I have a viral or bacterial infection? 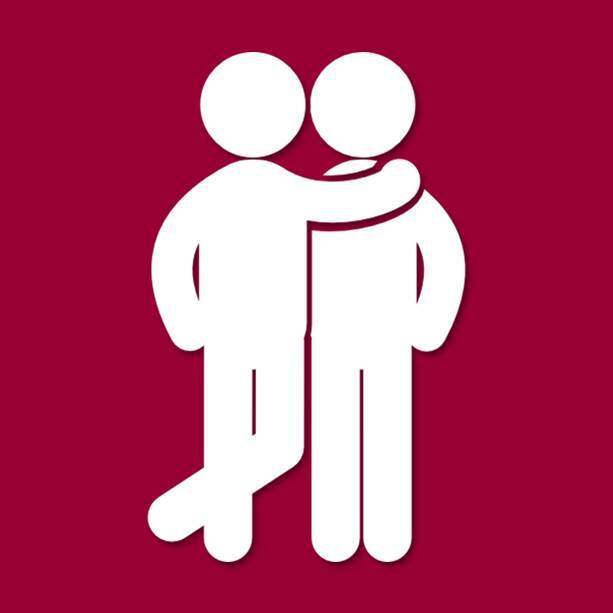 Consult healthcare provider and follow his or her advice on what to do about the illness. Remember, common colds are caused by viruses and do not require antibiotics. Does this mean I should never take antibiotics? Your healthcare provider will prescribe antibiotics if you have a bacterial infection. If mucus from nose changes from clear to yellow or green – does this mean that I need antibiotics? No. It is normal for mucus to get thick and change colour during a viral cold. What can I do to help myself feel better? Pain relievers, fever reducers, saline nasal spray or drop, warm compress, liquids and rest may be the best things to help you feel better. 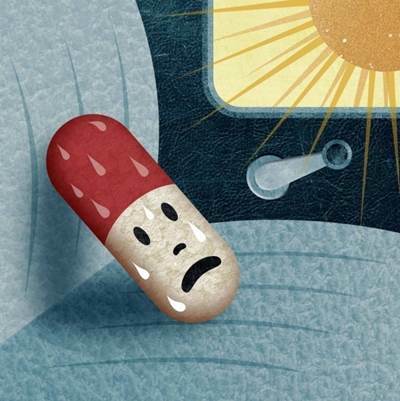 Why should I finish my antibiotic? 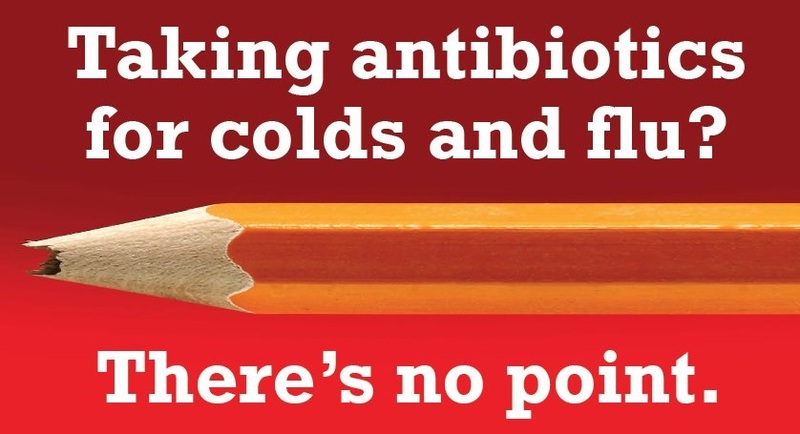 Not finishing a course of antibiotics as directed can lead to *antibiotic resistance. *Antibiotic resistance is resistance of the bacteria to the antibiotic that was originally effective for treatment of infections caused by it. Illnesses that were once easily treatable with antibiotics become dangerous infections, prolonging suffering and may even be fatal. I developed diarrhoea after taking antibiotics. Should I stop it? 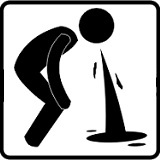 In some patients, antibiotics may cause mild diarrhoea, which is a well known effect. You do not need to discontinue your antibiotic but well hydrate yourself to replace the lost fluids and avoid milk containing products. Probiotics are recommended to help with diarrhoea. 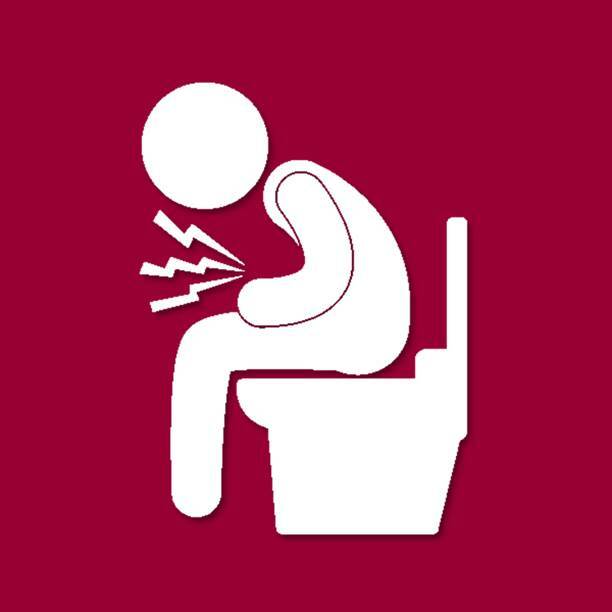 However if you develop severe abdominal pain, cramps or fever with high volume diarrhoea after taking antibiotics, you should seek your doctor’s attention immediately. 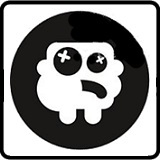 I developed an allergy reaction towards penicillin. Is it safe for me to take other antibiotics? 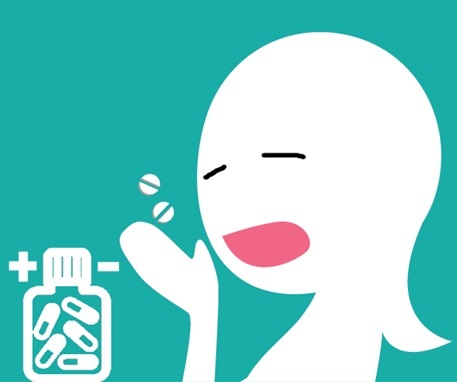 If you developed itchiness, difficulty breathing and/or wheezing after taking penicillin, then you are allergic to it and you should not take any product containing penicillin or an antibiotic of a similar class. 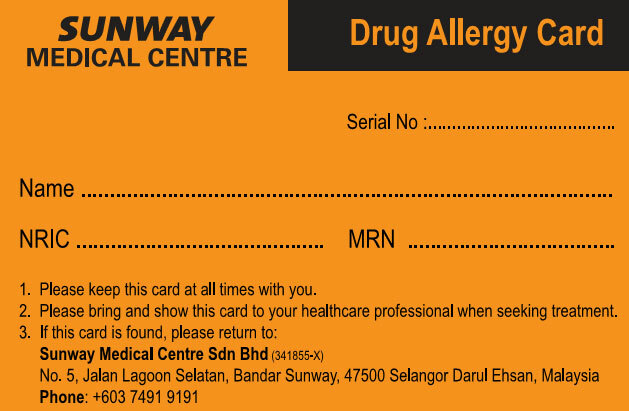 It is important that you notify any doctor or pharmacist that looks after you on your allergy status. There are other antibiotics available which are safe to use for people with penicillin allergy. What Is A Side Effect/Adverse Drug Reaction? An unwanted effect or a harmful reaction experienced following the administration of a drug/medicine or combination of medicines. The reaction may be a known side effect of the medicine or it may be new and previously unrecognized. It can also suddenly occur with medicines that you have taken often without side effects previously. What Should I Do If I Experience A Side Effect? If you believe you are having a side effect, it is important to speak/see your doctor or pharmacist. Use ConSERF (Consumer Side Effect Reporting Form). Please report any side effect you find troubling, even if you are not certain it is due to the medicine. Please complete as many sections as possible to ensure your report is useful. You may consult your pharmacist for assistance in filling the form. Submit online, or post/email directly to NPRA. Please provide your contact details to allow NPRA to obtain further information about your report if necessary. Your details will remain confidential. Updating the package inserts & consumer medicine information leaflets with the latest safety information. Removal of certain at-risk medicine from the market. What Can I Report & Why? Besides oral medicines (tablets, capsules and syrups); other medicines like creams, lotions, suppositories and inhalers can also cause side effects. Unfortunately it is impossible to know all side effects of a medicine before it is approved for use. When people report about their experiences using a particular medicine it helps us to understand more about the possible side effects of the medicine and identify new problems that we might not have known before. Symptoms may vary from one patient to another. 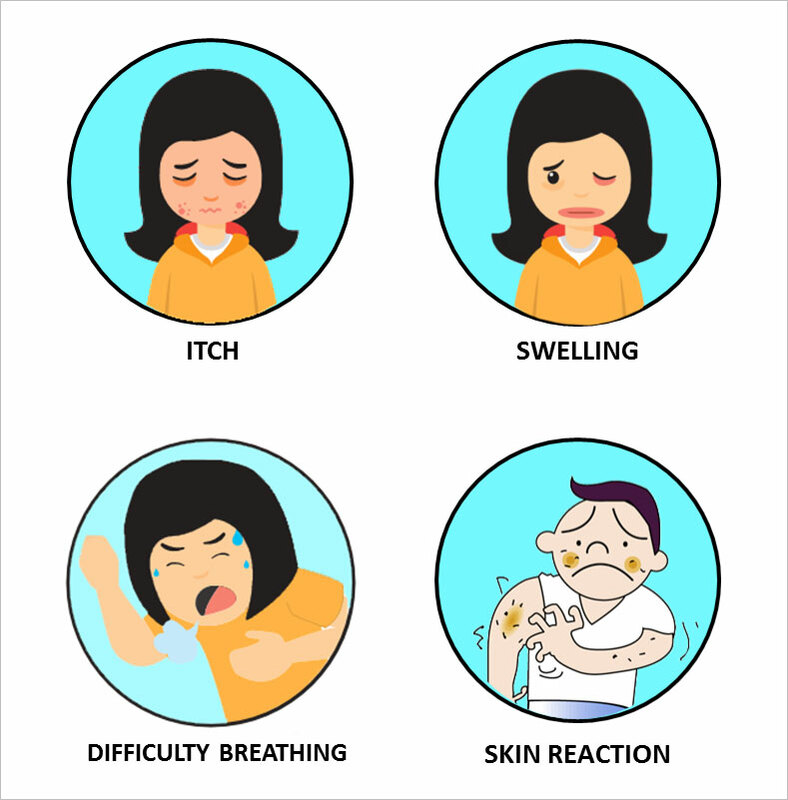 ANAPHYLAXIS – life-threatening and requires urgent medical attention! What should you do if you think you have a drug allergy?